Where Old-World Craftsmanship Creates Products with Timeless Appeal. ProVia is nestled within the rolling hills of Sugarcreek, Ohio, the heart of the nation's largest Amish population. 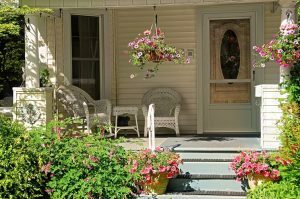 The company was started in a garage by Bill Mullet more than 40 years ago and has grown into a nationally known manufacturer of high quality entry door systems, energy-efficient windows, super polymer vinyl siding and artfully-crafted, manufactured stone. ProVia has built a reputation in the building products industry for quality, old-world craftsmanship and personal care for customers, which extends to every part of our culture. The company has been through many changes to accommodate its growth, including expansions, acquisitions, and the implementation of state-of-the-art production equipment. The current headquarters, constructed in 1984, underwent major renovation and expansions in 1993, 2001 and 2005 and 2012/2013. Today, ProVia remains privately owned by the Mullet family and continues to invest in its facilities, employees, customers and research & development. 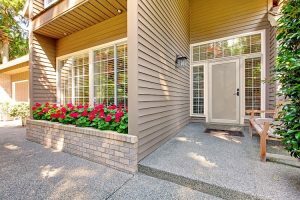 The company continues to manufacture outstanding replacement door, window, vinyl siding and manufactured stone products with a dedicated growing team that distributes products throughout most of the United States. Spectrum ™ Storm Doors – Spectrum ™ Series brings you smooth functionality, beauty and durability. Our exclusive top and bottom InVent™ retractable screen system allows you more venting options than ever. 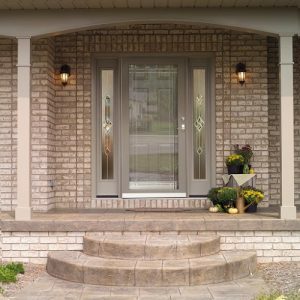 Decorator ™ Storm Doors - Decorator Series provides a stylish, fresh look to accent your entry. Select one of the distinct styles from our Decorator Series storm doors. Deluxe ™ Storm Doors - Deluxe Series is the answer whether you’re looking for additional light, ventilation or protection from the elements. 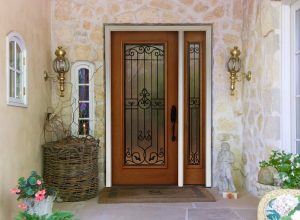 You’ll find the exact style you’re looking for in our Deluxe Series of storm doors. DuraGuard ™ Storm Doors - DuraGuard is exactly what you need if you’re concerned about keeping your small children and pets safely inside. Select one of our doors with heavy-duty, non-removable stainless steel screening. Superview ™ Storm Doors - Superview offers a selection of storm doors constructed for style and value in one complete package.